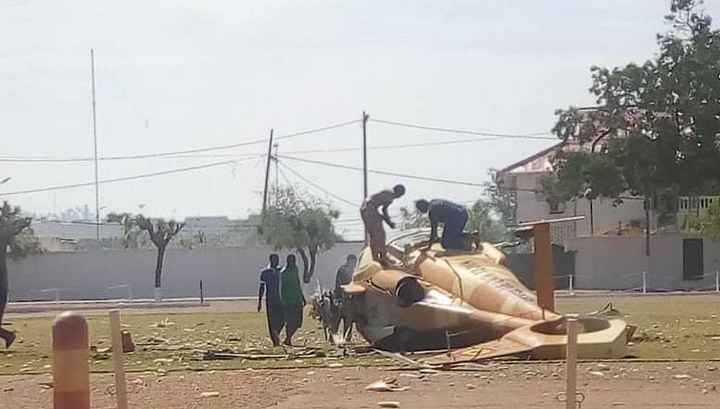 The military helicopter crashed while training for the national celebration day of Mali on 20 January. It crashed during a landing. This morning, around 11 o’clock, a helicopter of the Malian army will exercise for the celebration of the feast of the Army scheduled for tomorrow 20 January, missed his landing. The aircraft crashed to the ground. No loss in human life, but two wounded are to be deplored.